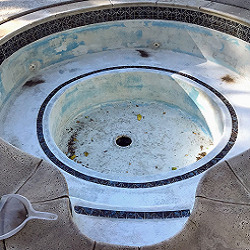 A Hybrid-Epoxy Pool and Spa Coating . . . the one that lasts!!! 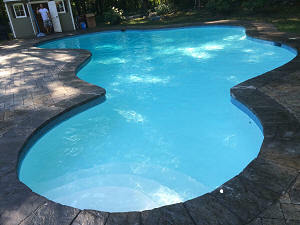 Scroll down to browse through information about Ultra Poly One Coat, the hybrid-epoxy pool and spa coating that lasts. The product is formulated to do the job in one coat and with easier preparation. It's backed by a 15-year factory warranty. The Website Store Directory contains an alphabetized listing of all products for sale. We don't just sell products. We help you make a better-informed choice, by providing all the information, you might require. Need ordering help? Scroll down the page, for the Order Desk Telephone Help Number. All items ordered will end up in the same shopping cart, no matter which page of this website, the items are located. All Major Credit Cards and PayPal are accepted. Order some today. 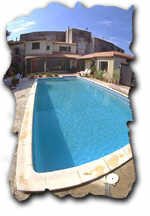 The Pool and Spa Coating That Lasts!!! Why Ultra Poly One Coat Should Be Your Choice!!! • Covers in one coat!!! • Easier Surface Preparation and Application. • Requires no primers, top coats or sealers. • Acid washing is not suggested or recommended. • 15 year factory warranty. 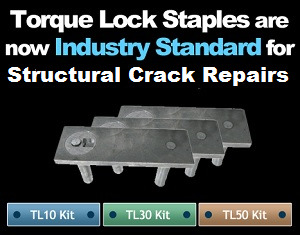 • Use on concrete, gunite, aggregate or fiberglass. • No Solvents or odors. Non Hazardous Formula. 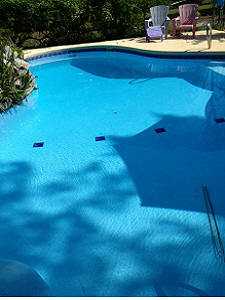 • Smooth surface resists algae and staining. 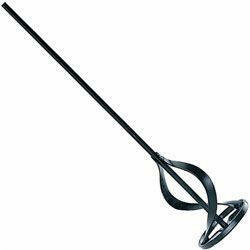 • Easy to maintain and easy to clean. 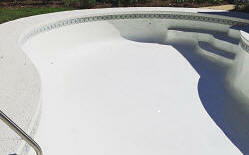 • Ideal for plastered or fiberglass pools and spas. 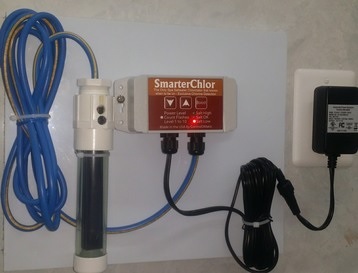 • Used in Water Parks across the U.S.
• Suitable for use with Salt Chlorine Generators. • Doesn't affect water chemistry. 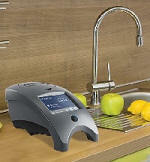 • Fast curing saves time. • One gallon covers 100-130 sq. feet. • One Gallon (3.8L) covers 9.6-12.2 sq. meters. • Includes a package of a non-skid additive. • Available in 5 stock colors. • Custom Colors are available. Ultra Poly One Coat is not just a paint enhanced to withstand chemicals: it is engineered as a protective coating for the harshest environments. This exceptional "paint" was created to coat the concrete containment areas around hazardous chemical storage tanks. 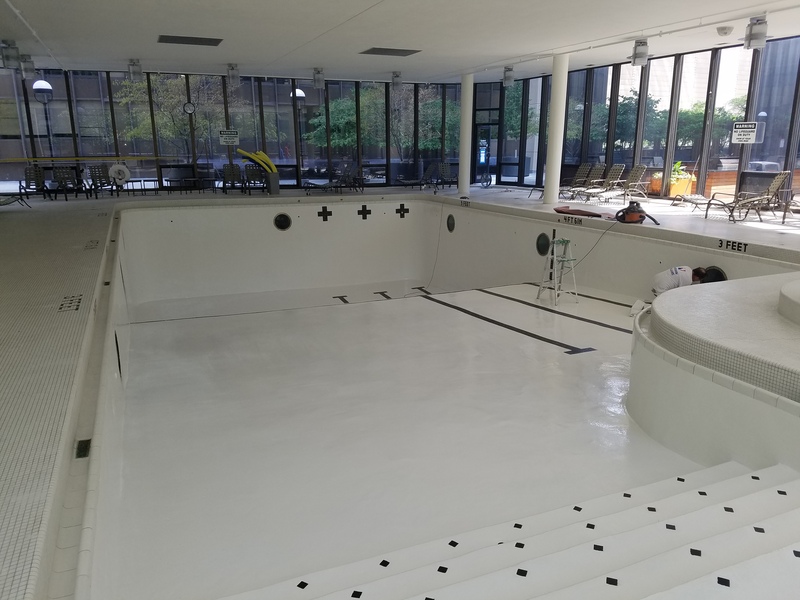 This hybrid epoxy has proven it can withstand harsh chemicals, constant exposure, freeze-thaw cycles and more with zero failure in industrial applications. 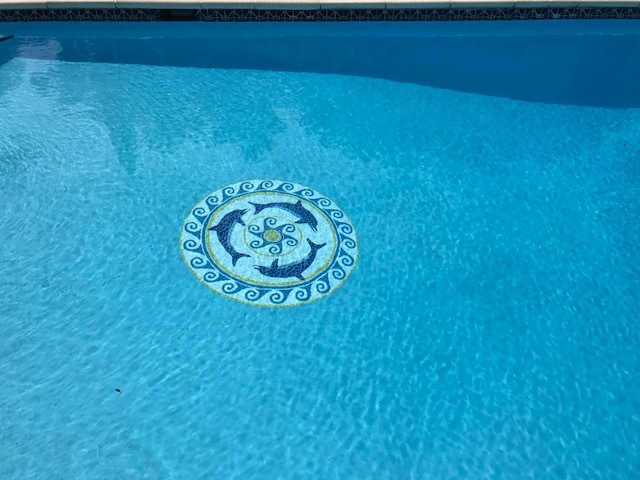 Now this same high performance coating is available for residential and commercial swimming pools and spas, as well as fountains, water gardens and water features. 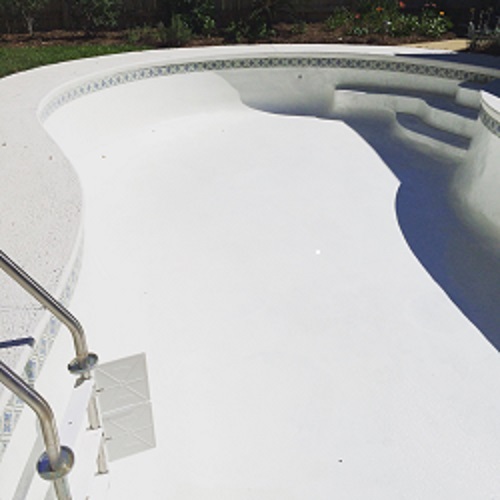 Well established in the swimming pool and spa industry and extensively proven in industrial applications, Ultra Poly One Coat is ideal for coating pools and spas. 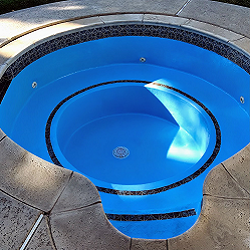 Now this same high performance coating is available for residential and commercial swimming pools, spas, water parks and water features. The fact that is being used in alligator wrestling pits. attests to its durability. 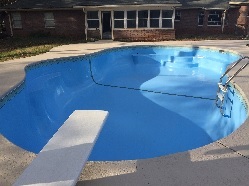 Imagine, a protective coating that dries fast, requires no concrete acid etching, has no VOCs, and comes in a variety of colors, that create a smooth, durable, professional appearance, with no blistering, chalking or fading. Ultra Poly One Coat can be applied quicker, easier, and safer, in less time than most other paints, providing faster completion and longer durability. Ultra Poly One Coat . . . the coating that lasts! 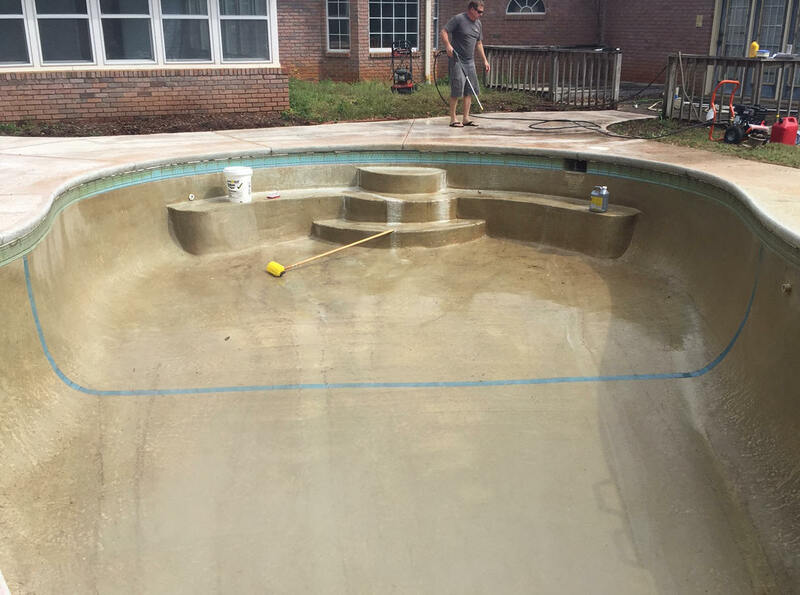 Ultra Poly One Coat can be used on plaster, gunite, marcite, green concrete, fiberglass and aggregate pool finishes, of all types. 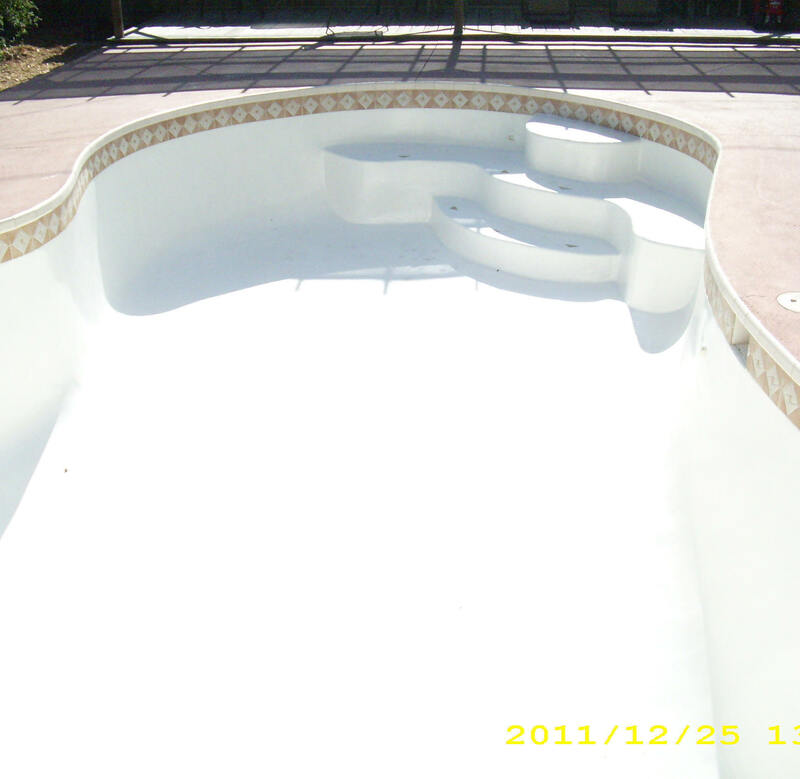 Use Ultra Poly One Coat to coat concrete swimming pools and discover bottom line savings and a 15 year guarantee. To assure the proper mixing of the product, in a easy and timely manner, an electric mixing blade, of the type pictured to the left, is recommended. Imagine, a protective coating that dries fast, requires no concrete acid etching, has no Volatile Organic Compounds (VOCs), and comes in a variety of colors that leave a smooth professional appearance that resists fading. Ultra Poly One Coat can be applied quicker, easier, and safer in less time than most other paints, meaning faster completion and longer durability for the owner! Each gallon of Ultra Poly One Coat consists of a Part A and Part B. When the two parts are combined, as directed, it yields one-gallon of coating. This will cover 100-130 square feet of surface area. No slipping and sliding!!! Every gallon of Ultra Poly One Coat comes with a supply of an industrial, aluminum oxide, non-slip additive. Add it the coating applied to step. walkouts and any other area, where a slippery surface needs to be avoided. 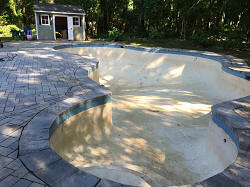 It will not only give your pool and beautiful new look, but it will add non-skid safety, as well. 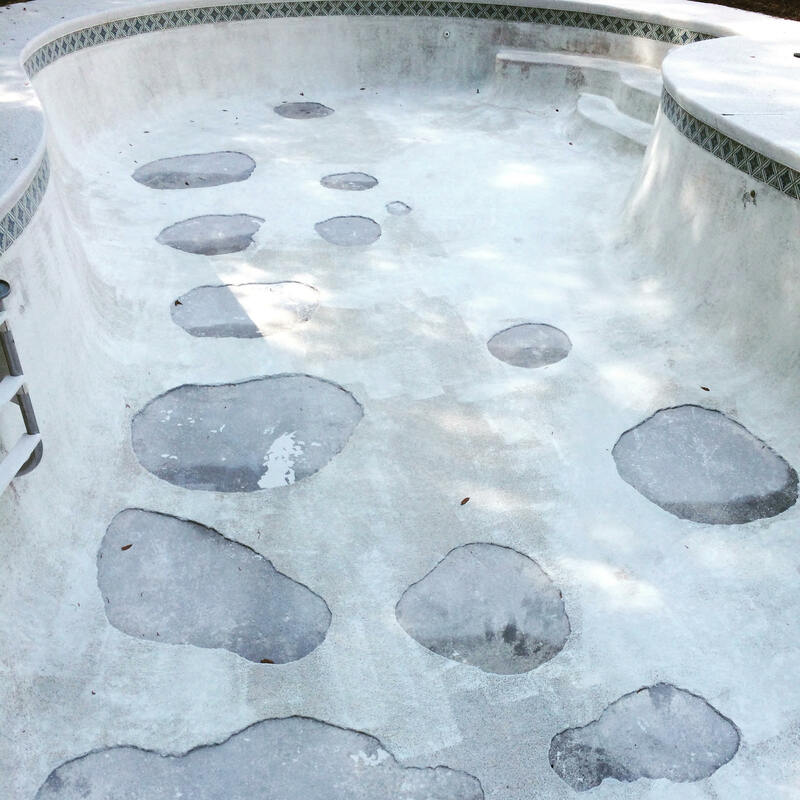 If Ultra Poly One Coat can stand up to the demands, of being used in alligator wresting pits and water parks, the product's durability, as used in a pool or spa, will be like assured. No acid washing, primers or top coats are required. 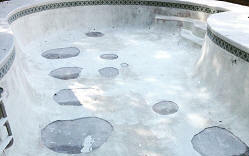 It can be applied over existing coatings, after the standard preparation is completed. And you certainly won't have to repaint it every few years! Do it all with a single coat and easier preparation. Ultra Poly One Coat . . . is the coating that lasts!!! Click here for Instructions and Warranty Information. Click here to browse through some product feedback. Graphic Mat Simply Drops in place. Click the images to see an enlarged view. Have an image? Please send it in. The calculations below are approximations only and are based on average shallow and deep end sizes and depths. 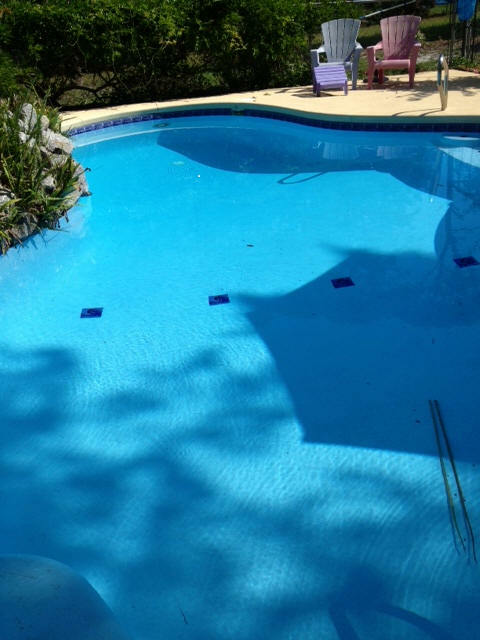 Pools with atypical measurements may require different amounts. For proper product performance and long life, apply at the rate of one gallon (3.8L) per 100-130 square feet (9.3-12.0 square meters). If unsure, email: askalanaquestion@msn.com with details and dimensions. It is suggested that the paint be ordered based on 100-130 sq. ft. (9.3-12.0 sq. meters) of coverage per gallon. Excess quantities, of stock colors, can be returned within 30 days. There will be a 25% restocking charge on the returned product. Unopened containers only will be accepted. Any shipping charges are non-refundable. Send an E-mail for a return authorization number. Returned goods must be shipped back with the freight prepaid. Colors may vary slightly from these electronic reproductions. Custom Colors may not be an exact match. The intent is to come as close as possible and practical. Order enough material to complete the job, as any additional product ordered, might not be a perfect match. No returns will be accepted on custom colored product. Product includes complete application instructions and a supply of a special non-skid additive, for use in areas such as steps. The Hybrid-Epoxy Coating that lasts!!! Usually ships the same or next business day!!! Ultra Poly One Coat . . . the coating that lasts!!! Scroll down to view shade selection and to place an order. Custom Colors may not be an exact match. The intent is to come as close as possible and practical. Order enough product to complete the job, as any additional product ordered, might not be a perfect match. No returns will be accepted on custom colored product. Scroll up for information on calculating product requirements and returns goods policy. Place order above. Shipping charges will be calculated and sent as a PayPal Invoice, based on quantity and destination. All Orders Outside Of The Continental U.S. (48 states) Will Require Additional Shipping Charges. Shipments are made via Priority Mail International, with an expected delivery of 7-10 days, after shipment. You reserve the right to cancel and receive a full refund, should you decline to proceed with the shipment. All items accepted for return, will be subject to a 25% restocking fee, because of the Free Shipping and the manufacturer's policy. All prices and product specifications are subject to change without notice. Aqualab Systems, LLC or the Askalanaquestion.com website shall not be held responsible for pricing, graphic or typographical errors. Errors can happen and we assure you that it is our attention to minimize these instances. If you have reached this particular page via a search engine link, please ensure you are not viewing a cached page or a page that has been attached to another website, as it may not be current. Prices charges do not include any applicable duty or taxes and are the responsibility of the buyer. ColorQ Digital Tester No color-matching! 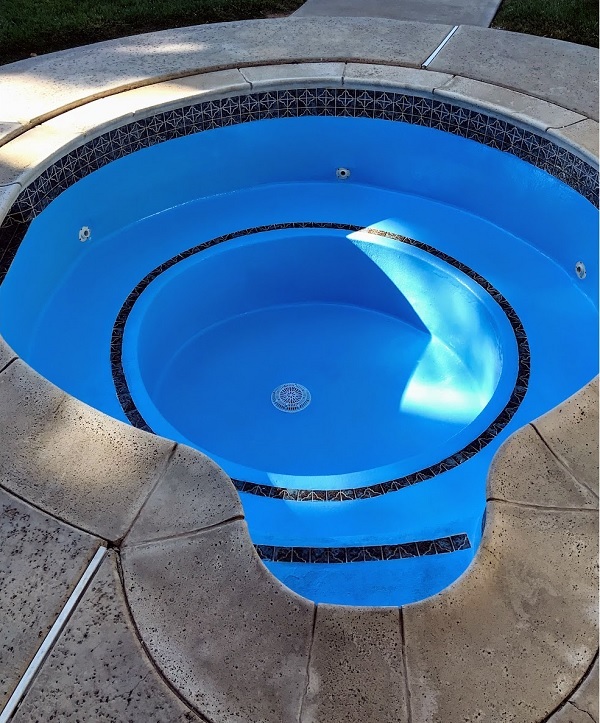 Performs up to 11 pool/spa tests. 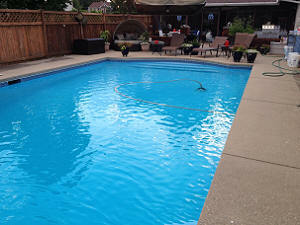 Portable Vacuums for Pools and Spas. 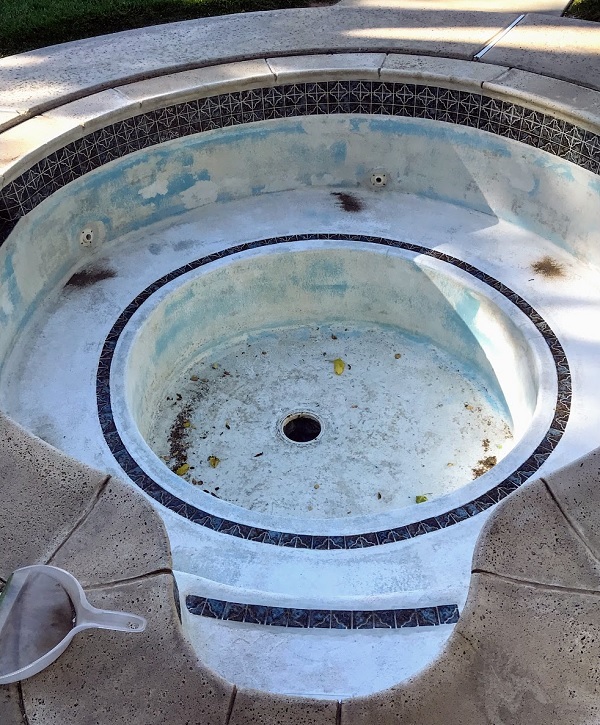 for a popular line of spas, with built-in salt chlorine generators. 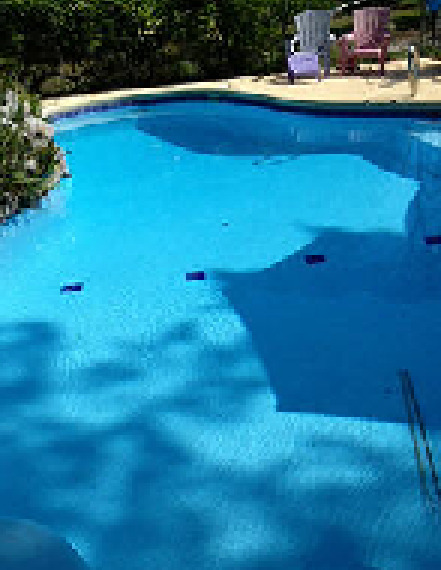 Dual-Ion Purifier Treats all pool types up to 32,000 gallons. Robotic Cleaners. Shown is a Remote-Control model.